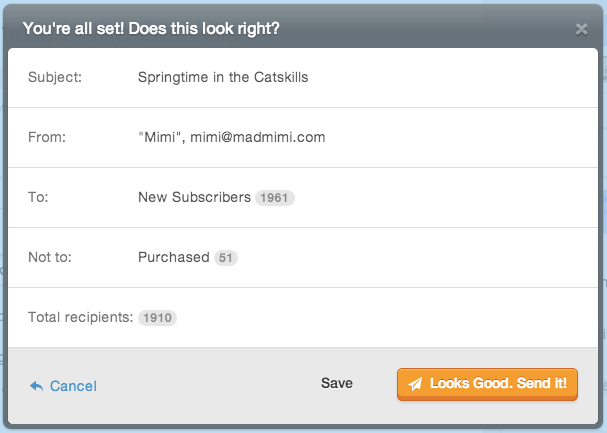 You've already seen those Include and Exclude buttons, when you send a mailing from your account. Read on to learn more about using them for including and excluding lists from your sends. The Include button is pretty straightforward. Click on this toggle button to include that specific list. Your mailing will be sent to everyone on any included list. Do not worry! GoDaddy Email Marketing will only send a single email to all those folks. 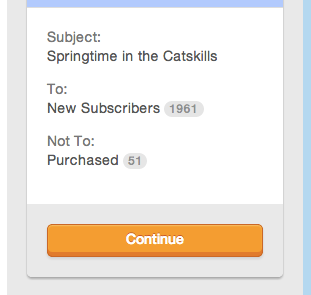 It won't send duplicate emails in a given mailing, even if you have overlaps between lists you've included. It's important to keep in mind that GoDaddy Email Marketing will NOT send the email to anyone who is NOT on a list you've included. It will only ever send to the people you deliberately INCLUDE in your mailing. On to the Exclude button, now. If you toggle the Exclude button, on any list, GoDaddy Email Marketing will make sure to NOT send anything to anyone who is on an excluded list. Even if they are ALSO on an included list. You should only use the Exclude button in cases where you have overlap between multiple lists, and you want to make sure to NOT send to anyone on an excluded list. And you can always review all of these settings, at the very last moment, right before you send off the mailing. Here, GoDaddy Email Marketing will even do the math for you, and tell you the total number of recipients for this mailing. This is done by subtracting all the folks from the lists you've excluded, who are on any lists that you've included. My Mailing Sent to 0; Why?! It's entirely possible that you excluded too many lists. Meaning, if you've excluded lists that are all overlapping with your included lists, then there's no one for GoDaddy Email Marketing to send the mailing to. It's really important that you only use the Exclude button when you know for sure there is an overlap, and you want those overlapping people to NOT receive the mailing.